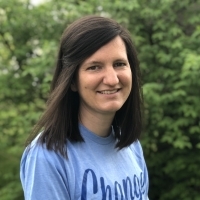 Ashley serves as the Office Administrator using her degree and experience in business management and marketing to assist Restore Small Groups with the daily tasks of organizational upkeep. Ashley grew up in Shepherdsville, Kentucky and graduated from Western Kentucky University with a Bachelors in Business Management. Ashley’s commitment and passion for community service began as a teen heavily involved in her church youth group and missions trips and has extended to both volunteering and board membership locally and globally. Ashley runs her own business as a freelance photographer in Middle Tennessee and enjoys travel, the outdoors, coffee shops, her pup Ripken. You can find Ashley engaged with her church The Village Chapel, kayaking out on Percy Priest Lake, or enjoying the Warner Parks Full Moon Pickin’ Party.